ConductRF provides 3 styles of solution for DAS applications in Stadiums, Malls, Campuses, Hotels and more. 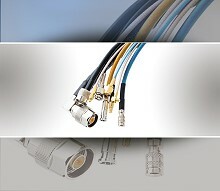 Straight & R/A Low PIM Connectors are available for 7/16, N, SMA, QMA, 4.1/9.5 and 4.3/10 interfaces. We also offer Low PIM Adapters and PIM Test Cables for all these series.